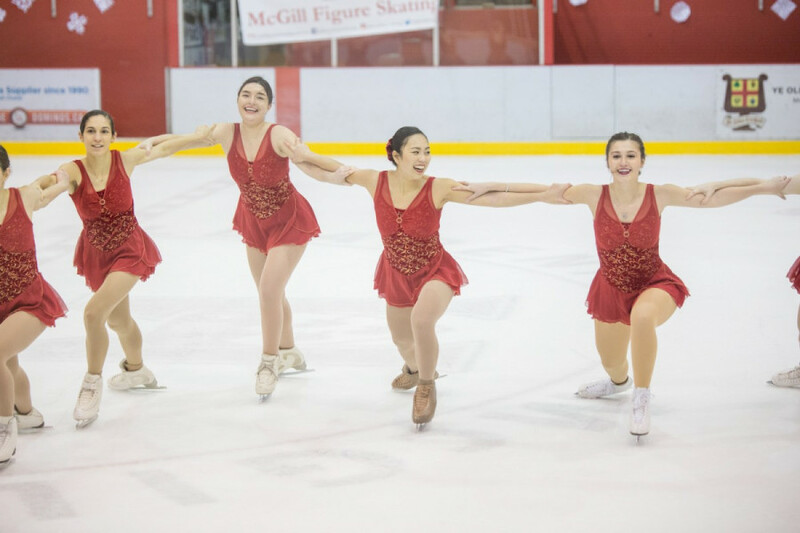 On a cold saturday night, McGill’s figure skating team booked the McConnell arena to present a 21-number holiday show to raise money for the student-run team. Some of the numbers during the show were choreographed specifically for the event, while others were routines from their recent and upcoming competitions. The show also served as a fundraising effort for their future competitions. As they are not a varsity team, they don’t benefit from the school funding that varsity teams do. “The turn-out was really good this year,” said team co-captain Lisa Nakajima. She added that the holiday show is one of the team’s primary fundraisers throughout the year. Most skaters performed their own production of classic holiday songs like “Baby It’s Cold Outside” and Mariah Carey’s “All I Want For Christmas is You,” that were choreographed by themselves. Co-captain Danika Kapeikis said the skaters that performed their numbers from the Ontario University Athletics Fall competition at Carleton University continue to improve and practice for further tournaments. “We’re always improving and we’re always working on our numbers, so of course it continues to get better,” said Kapeikis about the routine numbers. Skaters that performed their competition pieces said they were thrilled to perform them once more for the crowd in the McConnell arena. The skaters took turns going on and off the ice, in preparation for their upcoming number. “Some of us did better, some of us did worse, but overall i think it was pretty good,” said Nakajima, echoing Kapeikis’ sentiments on the competition numbers that were performed for the show. Andrew Meng, one of the few male skaters on the team, performed a couple of his competition routines for the show. He said he did a much better job at the competition than at the holiday show, despite finishing second place in the men’s free skate category at Carleton. Their upcoming competition is Jan. 23 and 24 in Toronto at Ryerson University.